Inventec is an ODM with headquarters in Tiawan and an office in Santa Clara. This switch is a cousin of the Tomahawk D7032Q28B. It has ONIE support. Pica8 might be a work in progress (Jan 2016) but not done yet. Picture of product blurb such as it is. 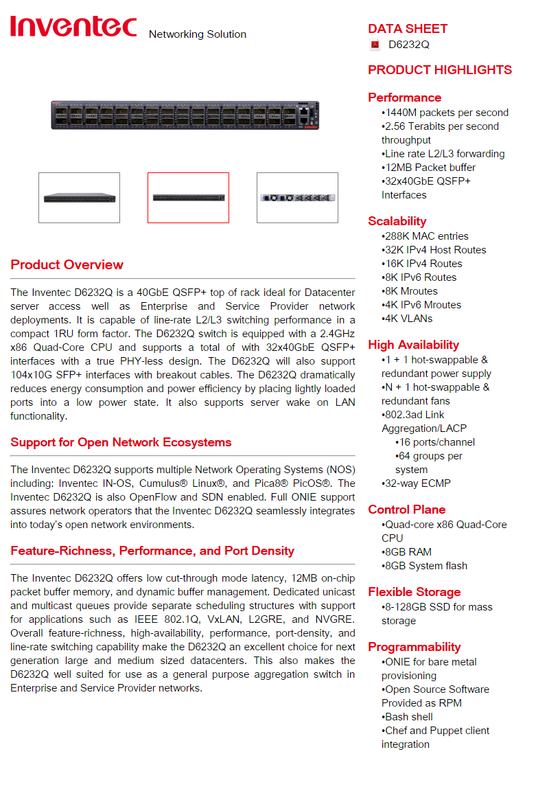 Datasheet as of January 2016.